Despite its name, Joe Montana II is an almost entirely different game to the original John Madden Football, the most promient difference being that games are played "horizontally" rather than "vertically". There are also two levels of "zoom", with the camera closing in on the action when appropriate. Also new is the concept of an in-game announcer, whose comments occur continuously in real time in accordance with the action (as opposed to the previous method of only having voice samples after plays (or in the case of other sports, hits, goals, etc. )), similar to how American football is broadcast on television. 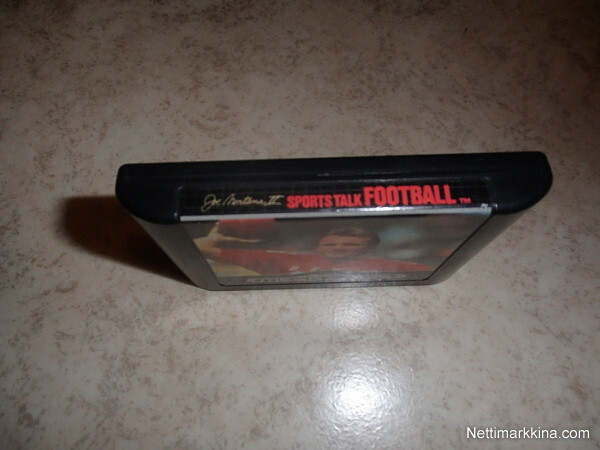 This was considered a selling point for the game, and was advertised as part of the Sports Talk series, which includes Sports Talk Baseball and this game's sequels, NFL Sports Talk Football '93 Starring Joe Montana and NFL Football '94 Starring Joe Montana (as well as College Football's National Championship). While the concept of in-game commentary would become a standard across most forms of video game American football (and sports gamsein general), Joe Montana II stands as one of the first to bring this feature to home consoles. Here, however, the voiceover is very primitive, with sentences constructed from monotone words, lacking any sense of tone or flow. 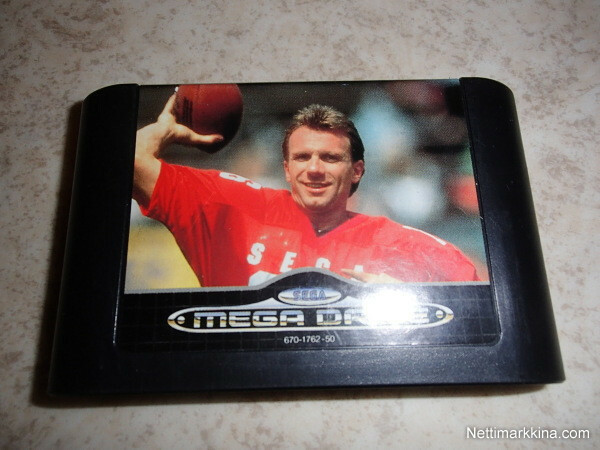 Sega would actually move away form in-game commentary for a few years - it does not exist in NFL '95 or its sequels, nor does it appear in the Sega Mega-CD game Joe Montana's NFL Football. Sega Bowl: Play 4 teams consecutively, each team tougher than the last, win all four and you win the championship. Normal: An exhibition game, you can choose between 10, 20, 30, 40, 50, or 60 minute long games.